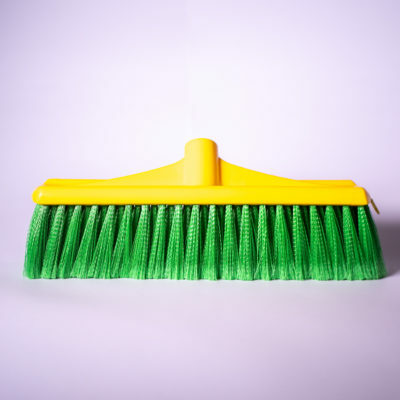 Benefits – Great design, Heavy Duty Robust construction, 5 year Warranty, Recycled plastic bottles utilised in construction, Heavy flagged crimped material for water absorption. 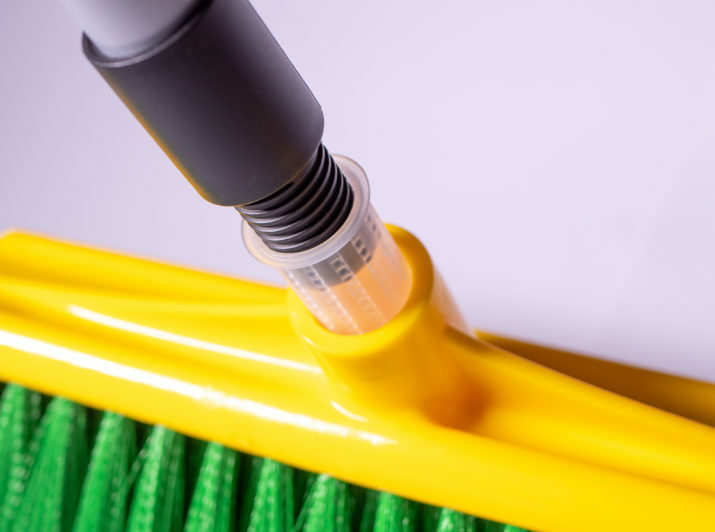 Long Description-This brush has a special design fill pattern for collection of all particles in soft or sealed floor environments. 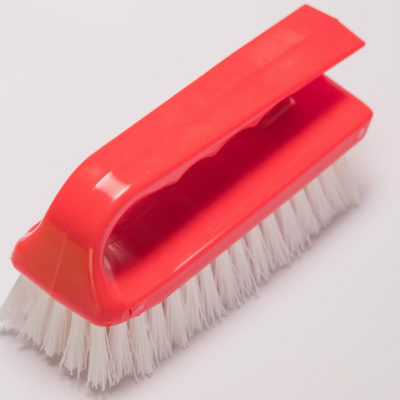 The bristle used is designed for water collection. 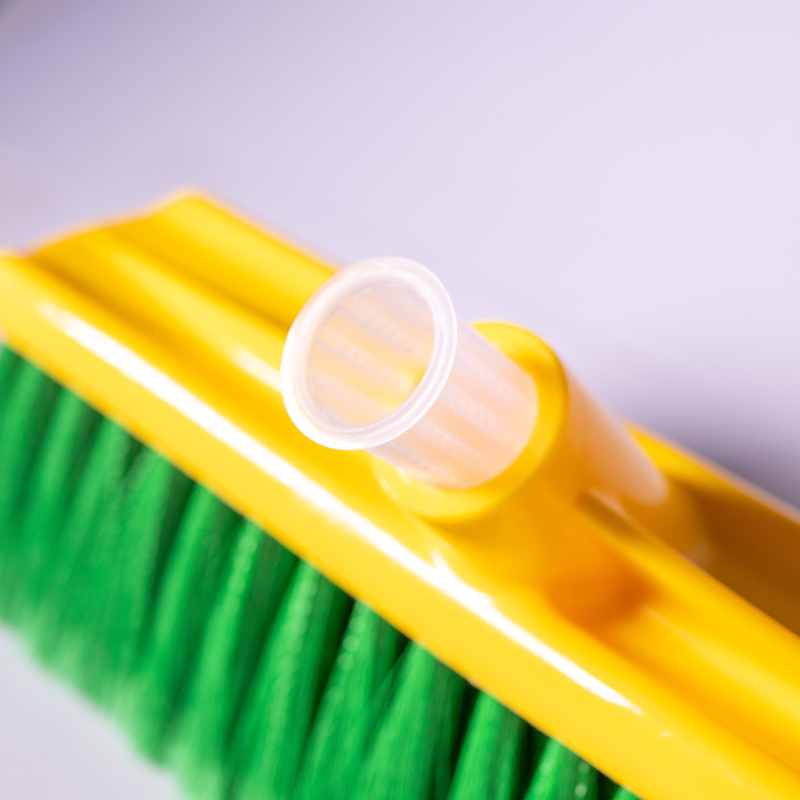 The crimped PET extruded material allows for easy sweeping motion,the heavy flagged tips will help collect fine particles. 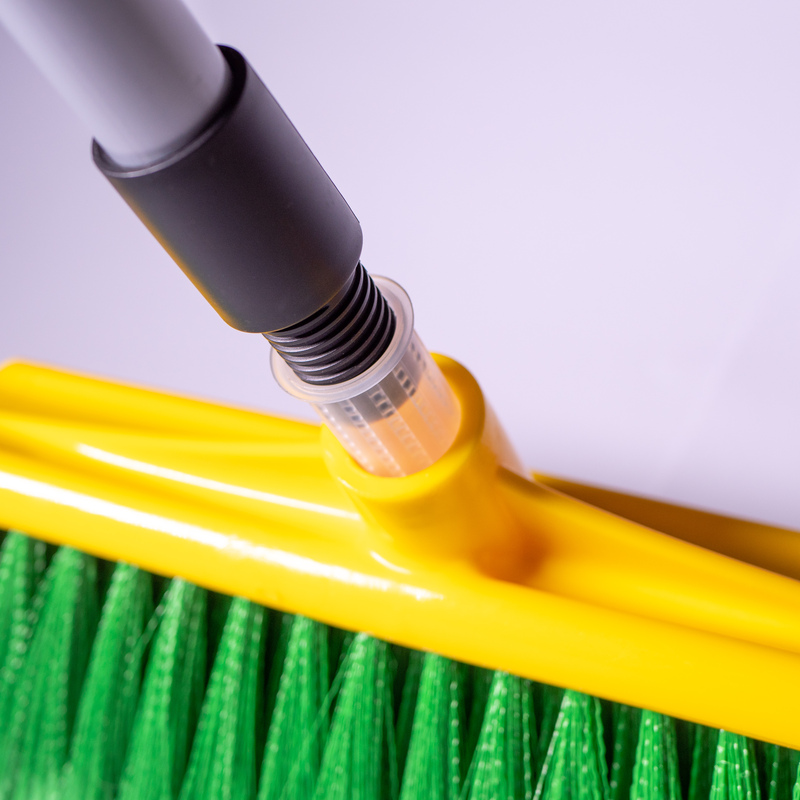 A 25mm Aluchrome Resin Handle Comes with this broom ready for Sweeping. Easy threaded connection. Handle has a 360Degree rotating hanging holder. Application- Can be used indoor and outdoor, Usage in Wet environments is fine. 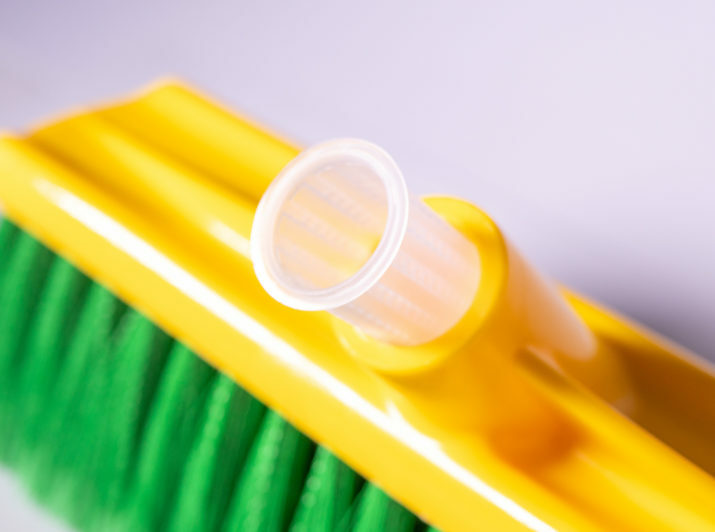 Bristle Spec- PET Crimp Fill trim length is 80mm from Stock. Great collection characteristics. 100% Recycled material. Stock Spec- Polypropelene Moulding. Solid wall section. Reinforced support rib for extra strength. 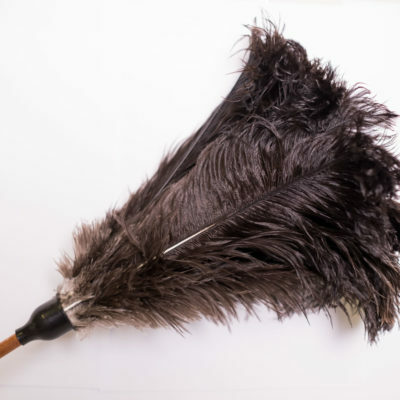 Caring Tips-: if used wet in a wet environment, be sure you hang brush in a well ventilated area for 24 hours to allow the water to disperse from material.